During the Frankfurt Book Fair, Publishing Perspectives produces daily print editions with news and updates from the world’s largest publishing trade show. 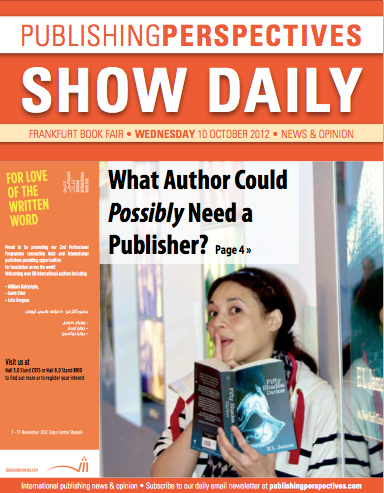 Take a look at our edition for Wednesday, 10 October 2012 with news from TOC Frankfurt and Publishers Launch conferences, as well as the Opening Press Conference and Opening Ceremony of the Frankfurt Book Fair. 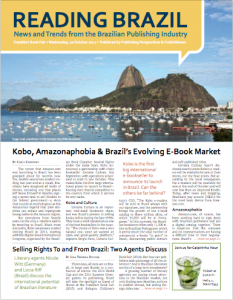 For the first time, Publishing Perspectives and PublishNews cooperated to produce two print editions focused on Brazil’s dynamic book industry. You’ll find updates on Brazilian publishers, international companies looking to enter the Brazilian market, and events at the Frankfurt Book Fair.